When you think about your mesothelioma care team, you probably think about mesothelioma specialists, radiologists, pathologists, and other medical specialists with a background in mesothelioma care and oncology. Even though nurses are an integral member of your mesothelioma care team, they might not even make the list. Nurses are expected to step in and quietly be the glue that keeps a patient’s care together, without getting the credit they are due. A new study from the UK demonstrates the importance of lung cancer specialist nurses to improved patient outcomes. If the medical establishment is listening, it could change the way we think about nursing education and nurse specialists. The UK study was conducted the University of Nottingham and London South Bank University. The research looked at the medical records of 100, 000 lung cancer patients in Great Britain and 200 lung cancer specialist nurses involved in caring for some of these patients. In the UK, the National Health Service (NHS) provides healthcare for all residents. This research aims to help the NHS develop evidence-based procedures to improve patient outcomes. One of the principal scientists who worked on the study, Professor Alison Leary of London South Bank University, is a nurse researcher and champion of the nursing profession. She has previously conducted research which found that unqualified staff at the NHS had been placed in roles meant for nurse specialists. The new study shows how dangerous that practice is. When patients received care from lung cancer specialist nurses, especially when the lung cancer specialist nurse was part of the medical team from the beginning, they were less likely to be admitted to the hospital. The study found that patients who were cared for by lung cancer specialist nurses during chemotherapy or radiotherapy had a 17 percent lower death rate during their first year of treatment. Researchers criticized the NHS for putting lung cancer specialist nurses and other nurses with advanced care specializations into more general roles, to help with nursing staff shortages at understaffed health centers. This new study shows, more clearly than ever, the value of lung cancer specialist nurses in delivering better outcomes for seriously ill patients. These findings dovetail with research presented at the recent International Mesothelioma Interest Group conference in Ottawa. The study received a Young Investigator Award sponsored by Kazan Law, which also sponsors Mesothelioma Circle. Researchers on that study, which was also conducted in the UK, found that the shock of a mesothelioma diagnosis was moderated when patients at the NHS were quickly referred to a mesothelioma nurse specialist. Support from expert nurses helped families understand what to expect as they entered mesothelioma treatment. In the US, unlike the UK, our healthcare system varies from state to state and from hospital to hospital. While many US cancer centers employ clinical nursing specialists or advance practice nurses with a specialty in oncology, not every hospital will have a full staff of oncology nurses. There are thousands of clinical nurse specialists in the US. Many of these are oncology nurses, including expert lung cancer specialist nurses. But a shortage of oncology nurses means that there are not enough to provide every cancer patient with the skilled nursing care that is so important to survival. There are many factors that contribute to the shortage of oncology nurses. The cancer rate in the US has climbed steeply. New cancer treatments often require more complex skills from the oncology nurses who deliver them. Combine this with better treatments that lead to longer survival times, and there are many more cancer patients who need treatment each year. 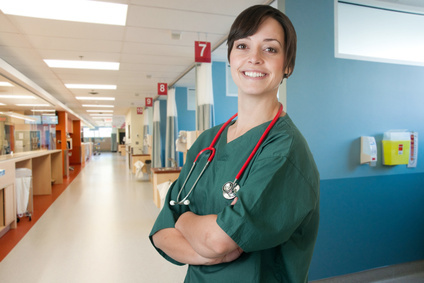 There aren’t enough new oncology nurses who complete training to fill the increasing demand. Treatments such as mesothelioma immunotherapy can last for a year or more and may require skilled nurses to administer the medication. Add the fact that doctors are increasingly delegating patient care to their skilled nursing staff, and you have the recipe for too few clinical nurse specialists to meet the demand. A nurse like the lung cancer specialist nurses in the UK study can be an important resource for you if you are a mesothelioma patient. A mesothelioma nurse specialist or an oncology nurse who understands the ins and outs of chemotherapy and radiation therapy, the possible side effects and infections that can occur during treatment, will improve the care you receive. An oncology nurse who knows to look for signs of complications after mesothelioma surgery could save your life. If there aren’t enough oncology nurses in the US, there are even fewer nurses who specialize in the care of mesothelioma patients. Hospitals that have special mesothelioma care units are the most likely places to find lung cancer specialist nurses with experience in mesothelioma care. If there isn’t a mesothelioma care center in one of the hospitals near you, you may be able to travel to another city to receive special care. Check with your insurance provider to find out about coverage for treatment by mesothelioma specialists, including a trained mesothelioma nurse, in a different city. If you aren’t able to travel to a mesothelioma center, you may still be able to receive specialized care through telemedicine. Ask your oncologist about consultation with a mesothelioma specialist. If you’re a veteran and your exposure to the asbestos that caused your mesothelioma occurred during your military service, you may be entitled to special care through the VA. There are large numbers of veterans who were exposed to asbestos during Vietnam and other conflicts ad who have since developed mesothelioma. Because of this, the VA has created special mesothelioma care units at several VA hospitals. The West Roxbury Campus of the VA Boston Healthcare System and VA West Los Angeles Medical Center, which is part of the VA Greater Los Angeles Healthcare System, are two VA healthcare centers that employ specialists in mesothelioma care. The San Francisco VA Healthcare System also provides mesothelioma care, thanks to its affiliation with the UCSF, Medical Center, and the VA Palo Alto Health Care System, with its affiliation with Stanford University Medical Center, are other centers for cutting edge mesothelioma care and research. It’s no accident that these cities also have private hospitals that are known for ground-breaking mesothelioma research and care; some of the same mesothelioma specialists treat patients in both private and VA medical centers. If you receive mesothelioma care through the VA, you have the right to care at a VA center specifically equipped to treat mesothelioma patients, even if that is not the closest VA hospital to your home. The VA has a Beneficiary Travel program that could even pay your expenses for travel to one of these VA centers. No matter where you receive your medical care, skilled nurses like the lung cancer specialist nurses in the UK study can extend your survival time. Make sure that your mesothelioma medical team includes a nurse with advanced practice certification in oncology.